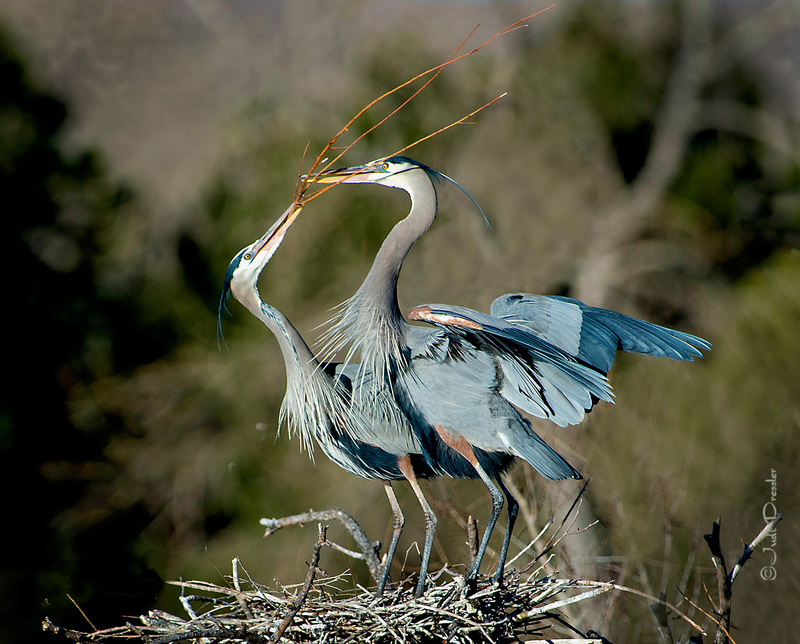 I watched these two Great Blue Herons for quite a while. It was fun to see how much time the male took to choose just the right stick for the nest, and then the interaction of the two when he brought it back to the nest. The female then usually would put it where she thought it needed to go.